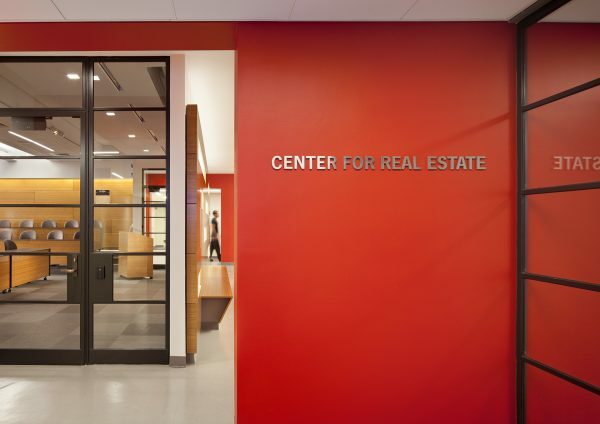 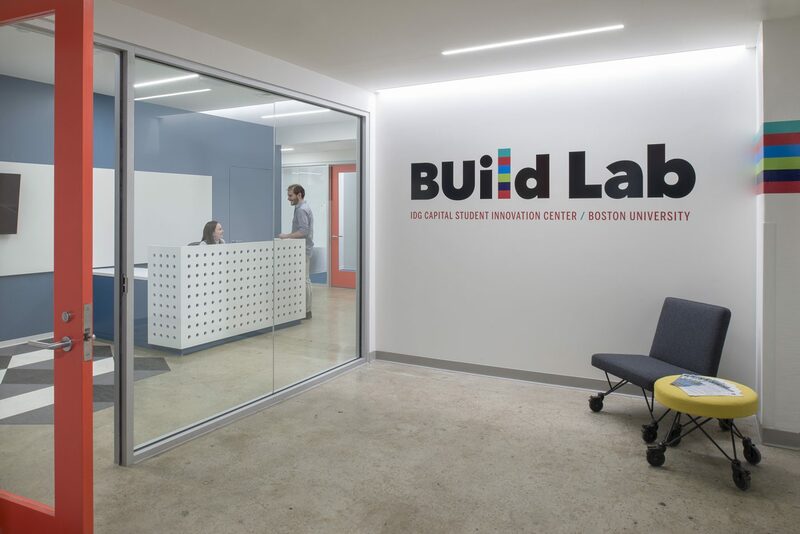 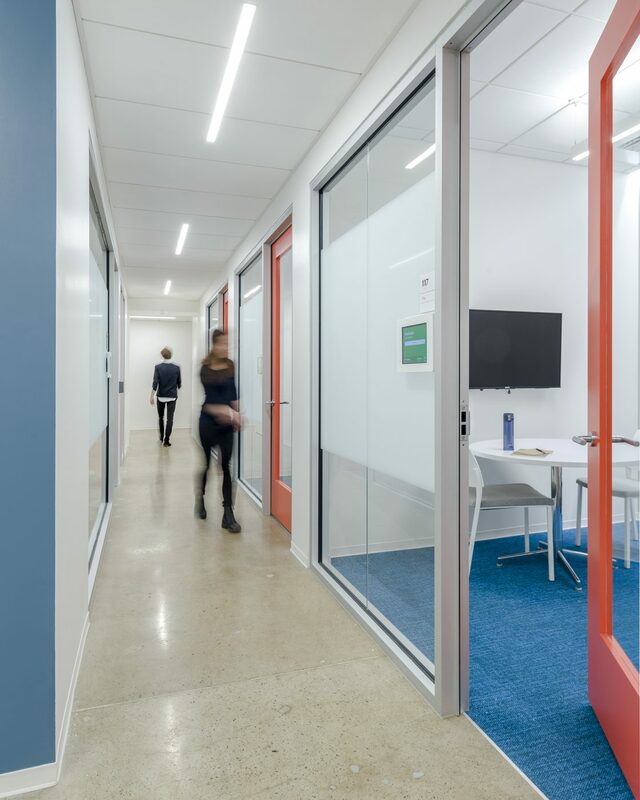 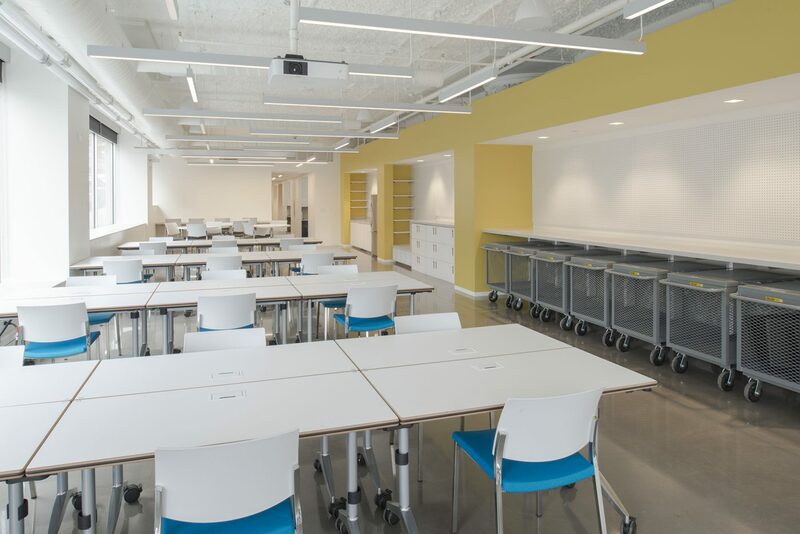 Boston University’s Innovate@BU is a university-wide student initiative, housed in the BUild Lab: IDG Capital Student Innovation Center, designed by Utile. 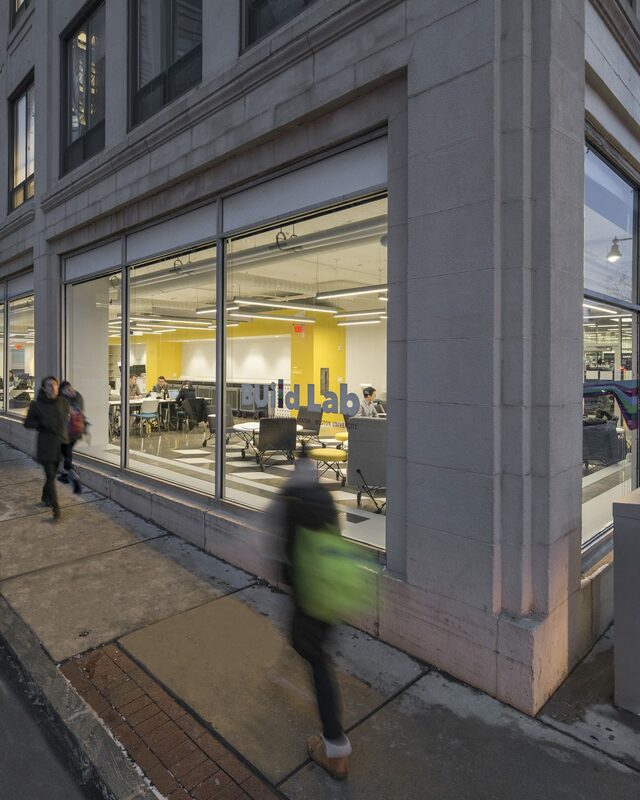 The Lab will serve as an incubator for student-led teams working on business ideas. 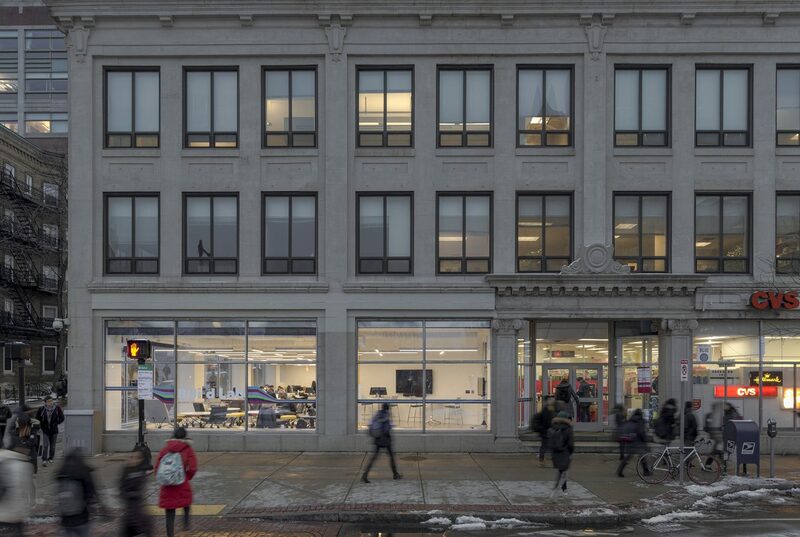 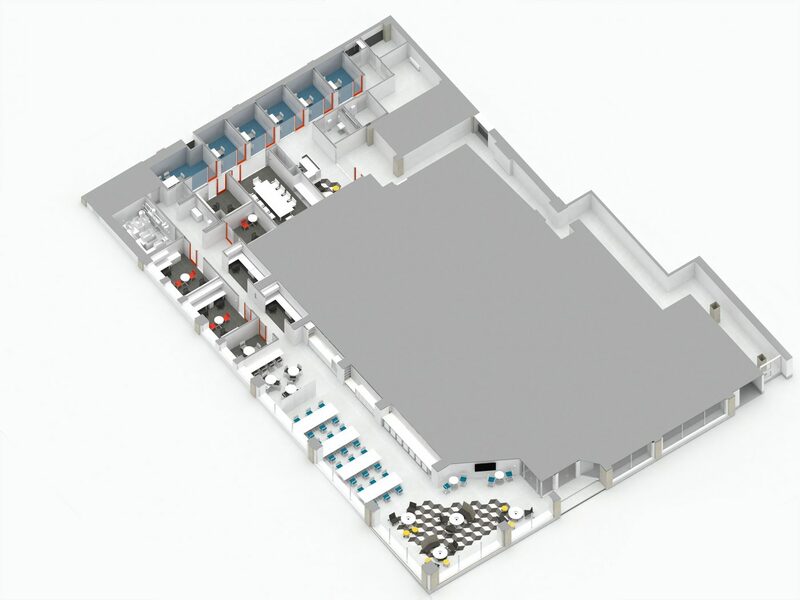 Previously a Radio Shack, the lab provides just under 6,000 square feet of work space fronting on Commonwealth Ave to accommodate day-to-day student collaborations as well as mid-sized innovation-focused events. 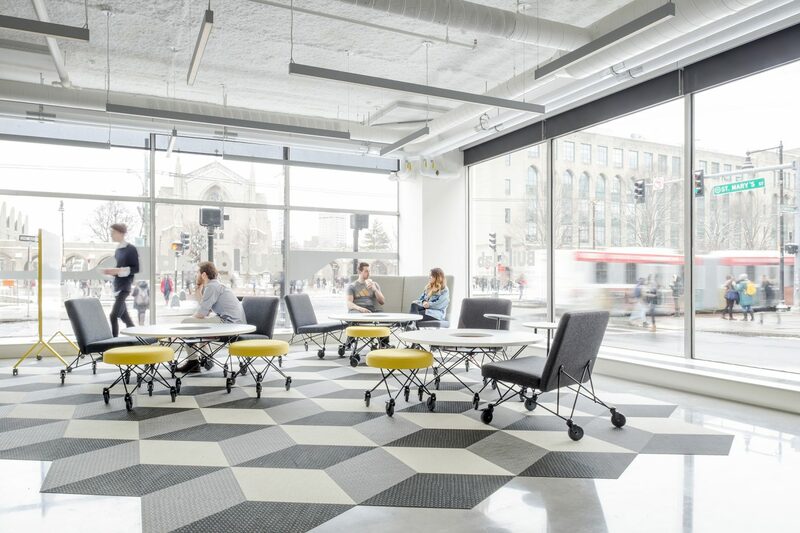 Utile was tasked with designing a space that is highly visible and inviting from the street, yet also provides more focused areas for collaboration. 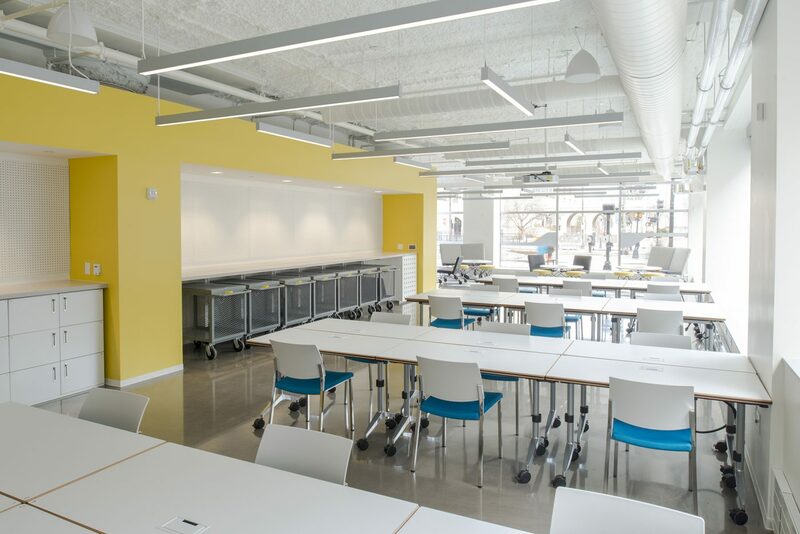 The open main work spaces and lounge maximize light and exposure to the street, while more private areas accommodate students working independently in small groups.